Yami (Chinese: 雅美), also known as Tao (Chinese: 達悟語), is Malayo-Polynesian language. It is a member of the Ivatan dialect continuum spoken by the Yami people of Taiwan. 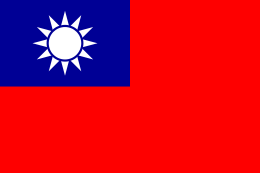 It is spoken on Orchid Island, 46 kilometers southeast of the main island of Taiwan. Yami is known as ciriciring no Tao, or "human speech," by its native speakers. 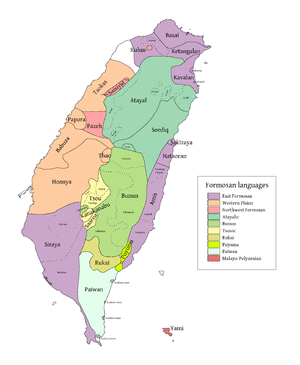 Yami is the only native language of Taiwanese aborigines that is not a member of the Formosan grouping of Austronesian; it is one of the Batanic languages found in the northern Philippines. Iraralay Yami, spoken on the north coast, distinguishes between long and short consonants (e.g., opa 'thigh' vs. oppa 'hen' form one such minimal pair). The following list of Yami verbal inflections is from Rau (2006: 135). The following list of Yami affixes is from Rau (2006: 135-136). ↑ Hammarström, Harald; Forkel, Robert; Haspelmath, Martin; Bank, Sebastian, eds. (2016). "Yami". Glottolog 2.7. Jena: Max Planck Institute for the Science of Human History.